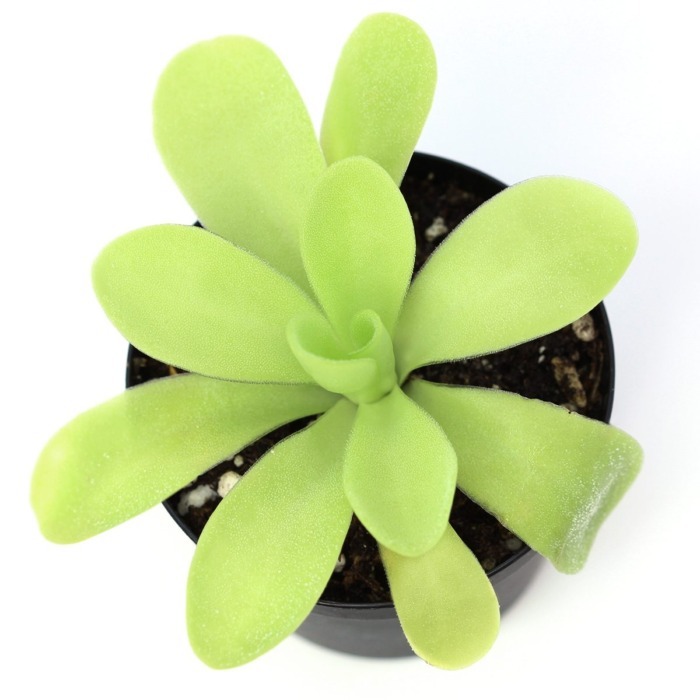 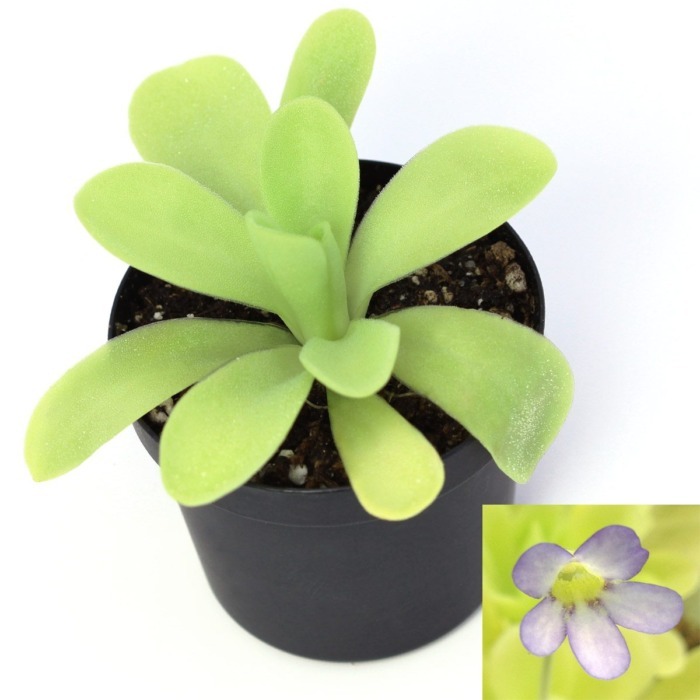 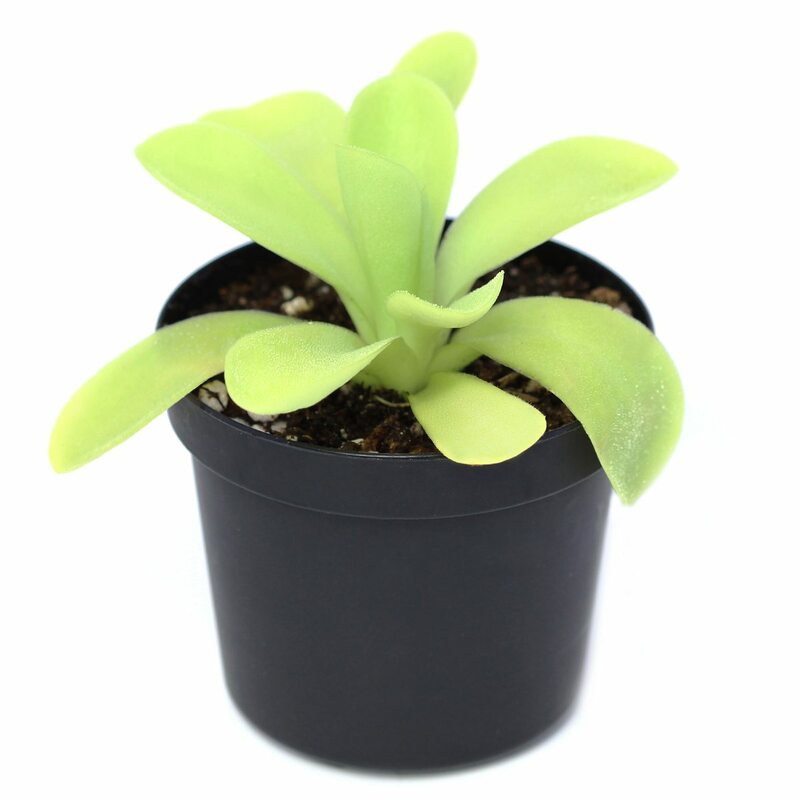 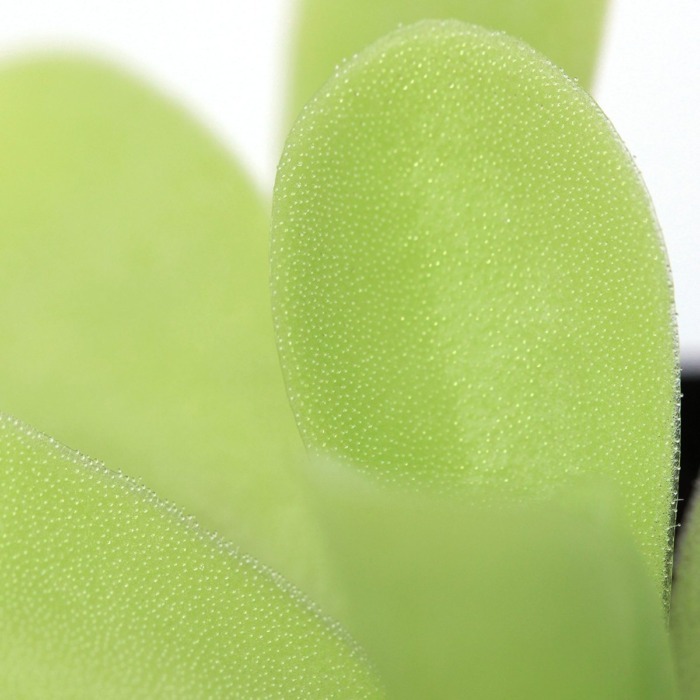 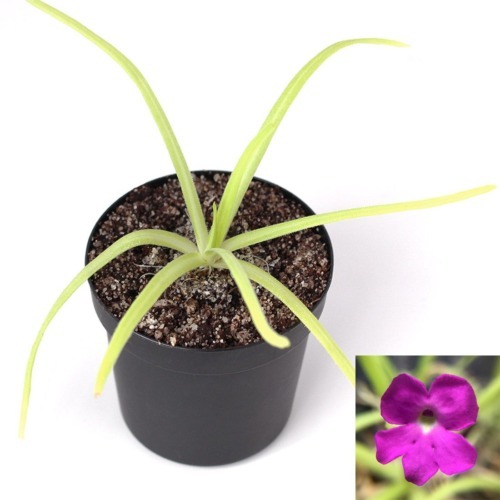 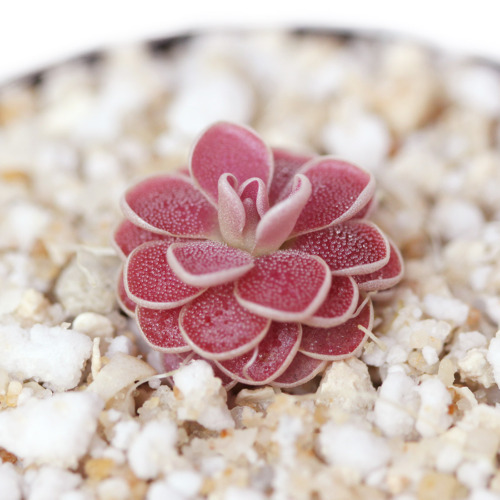 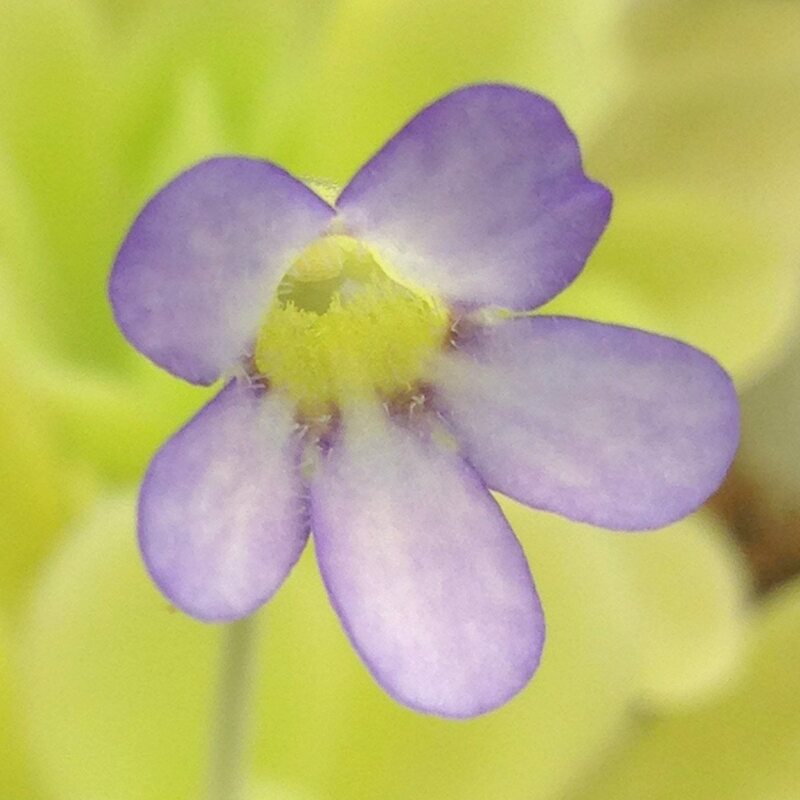 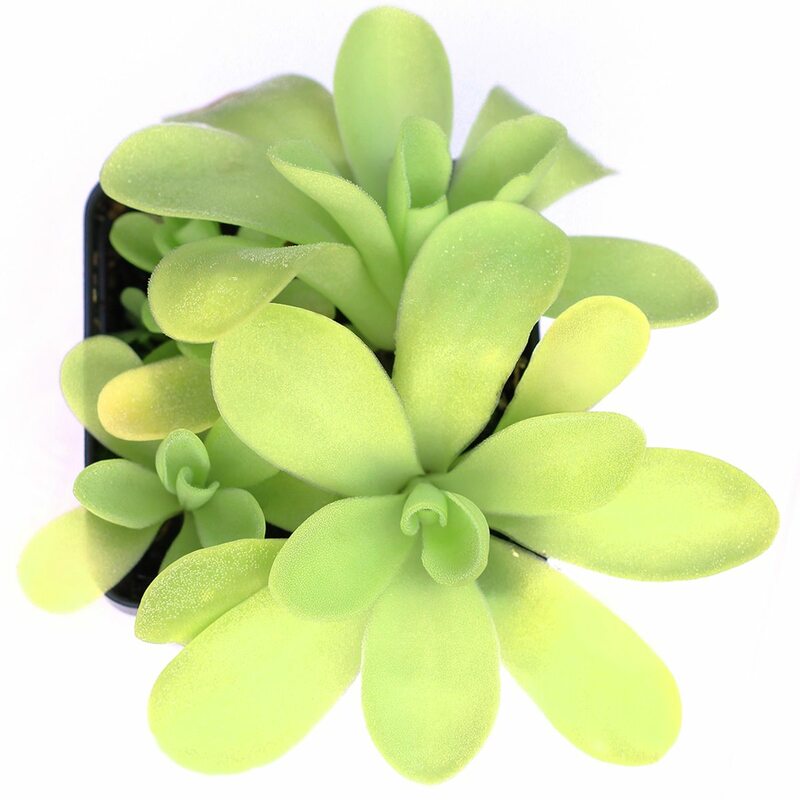 Pinguicula agnata (commonly known as a Butterwort) is a popular kitchen window plant because it traps fruit flies and gnats. 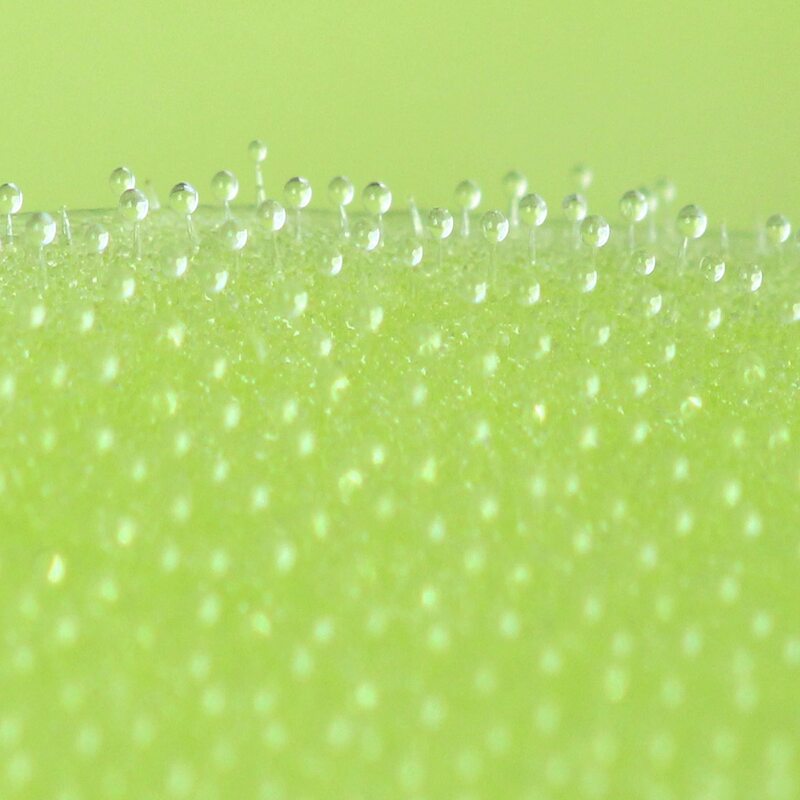 To supplement poor environment nutrition, the leaves make sticky droplets that catch and digest bugs via a series of glandular structures. 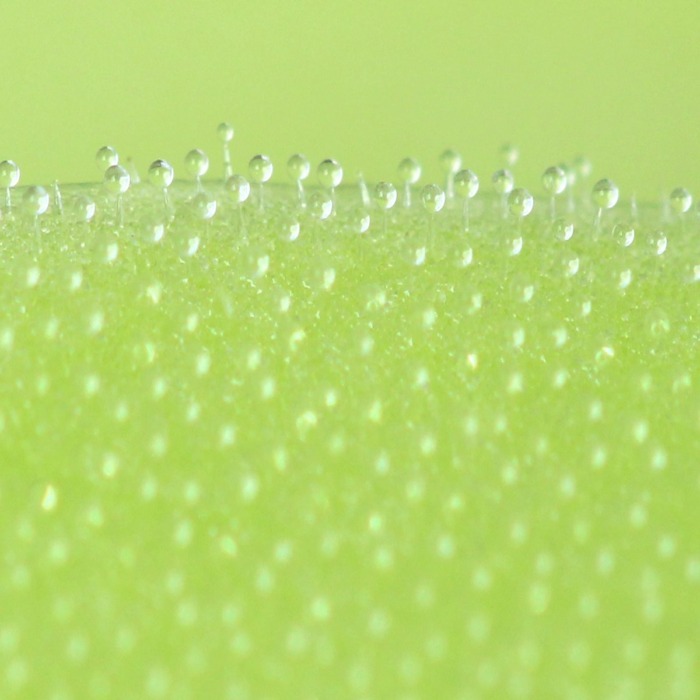 As a trapped insect struggles, it triggers more glands and becomes encased in the sticky droplets. 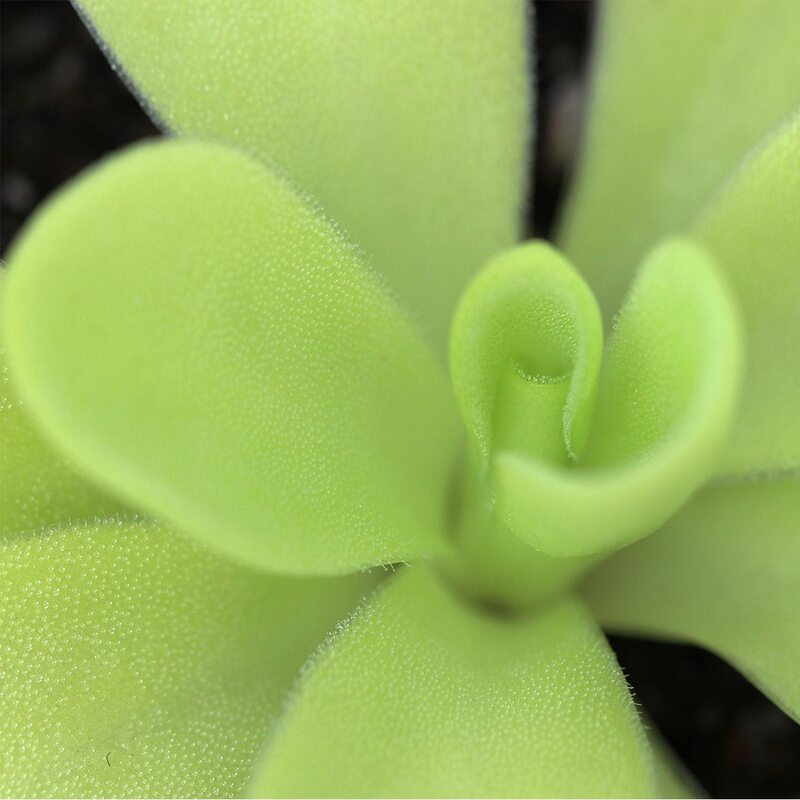 Once digestion begins, the leaves absorb the nutrients through small holes, leaving only the bug’s exoskeleton on the leaf surface.